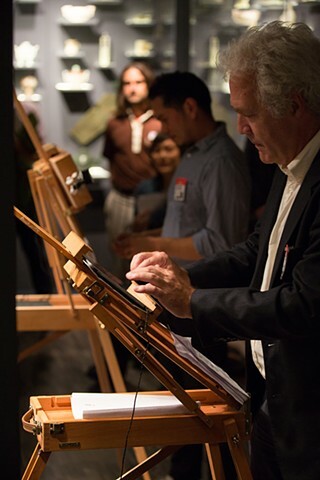 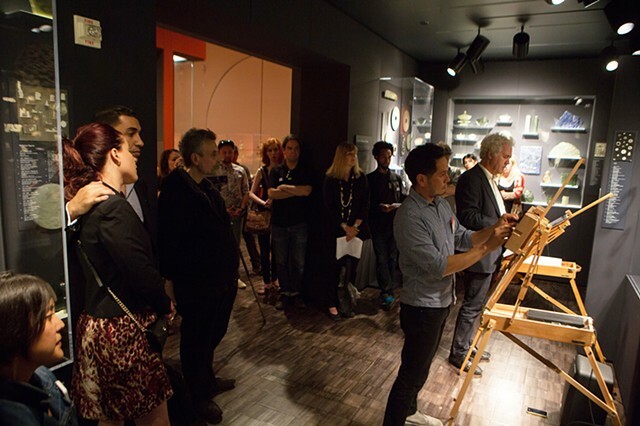 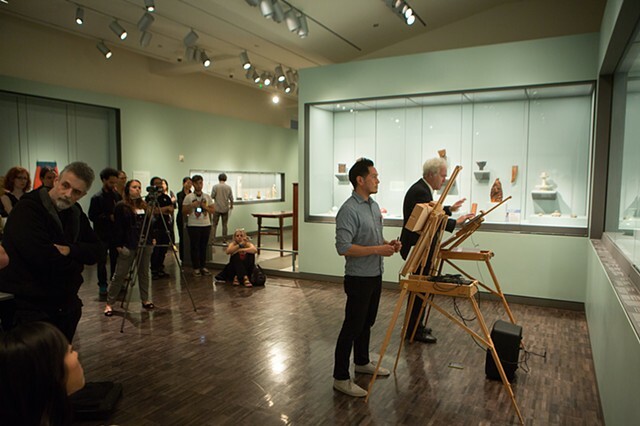 Asian Art Museum: Artist Drawing Club. 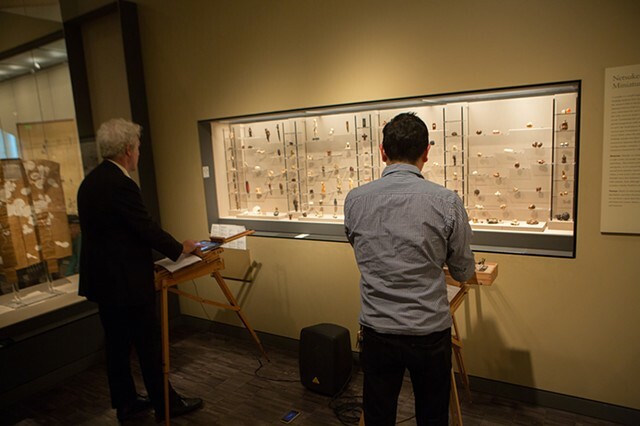 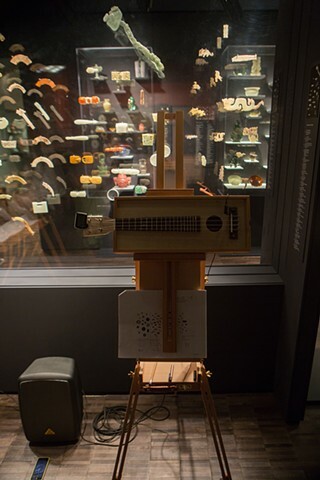 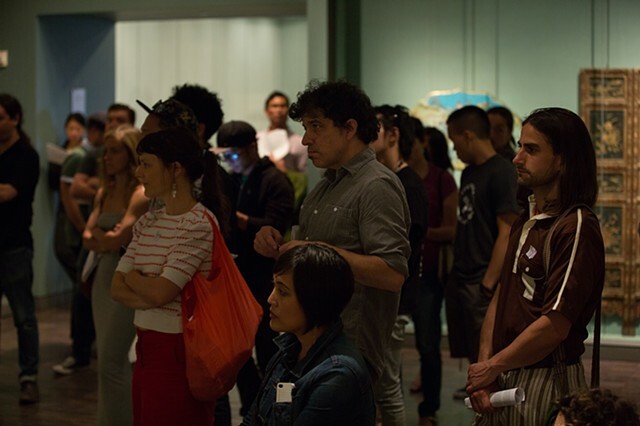 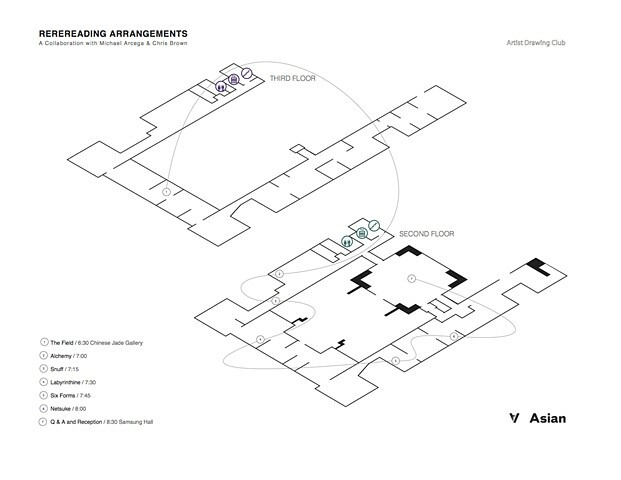 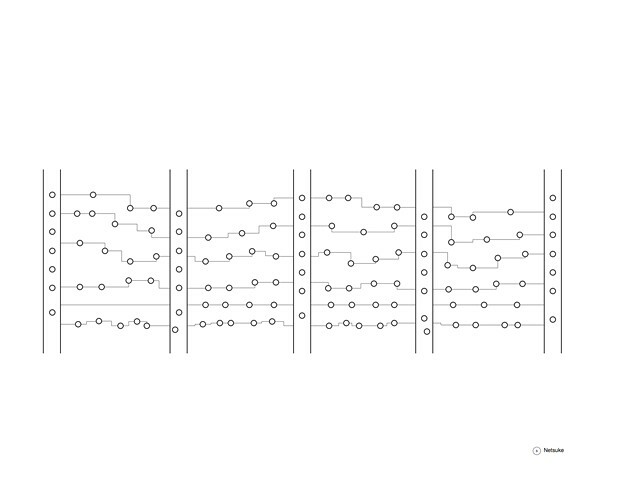 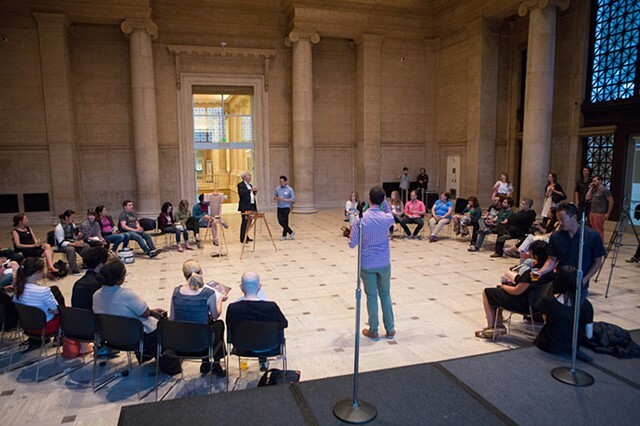 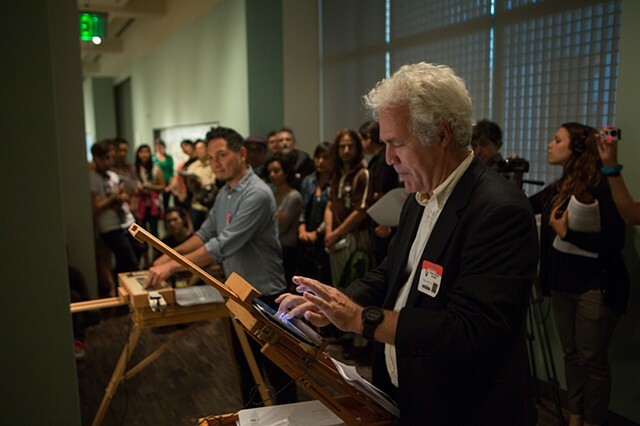 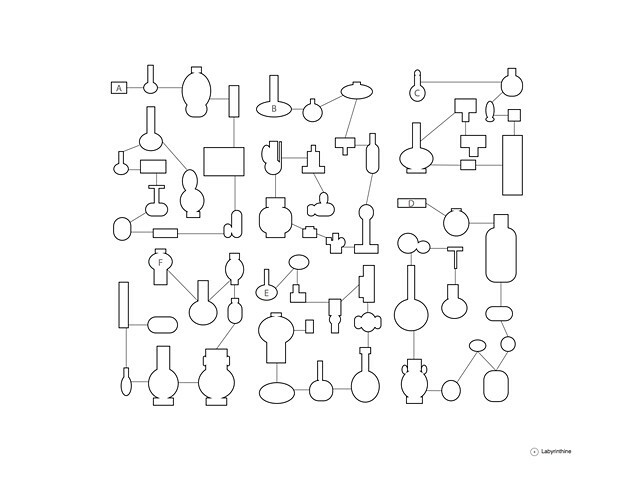 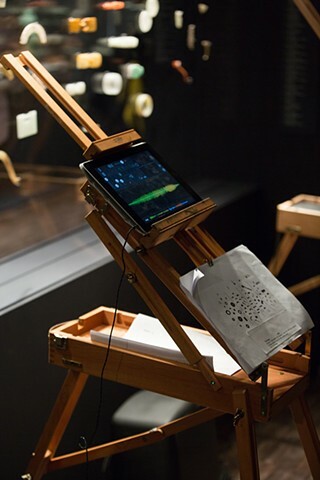 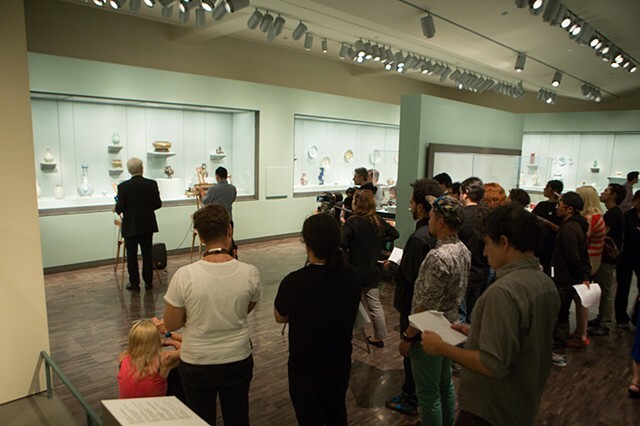 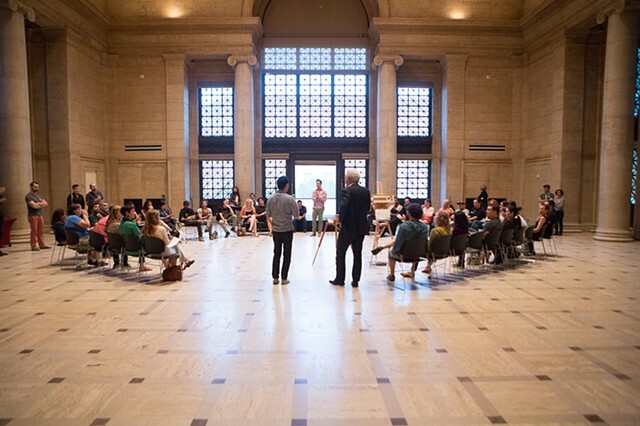 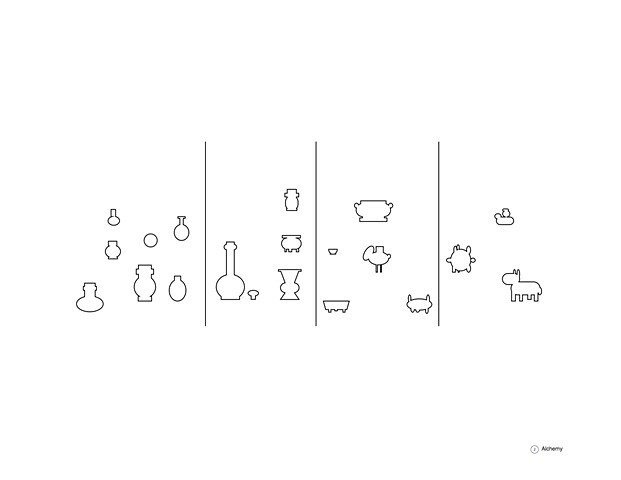 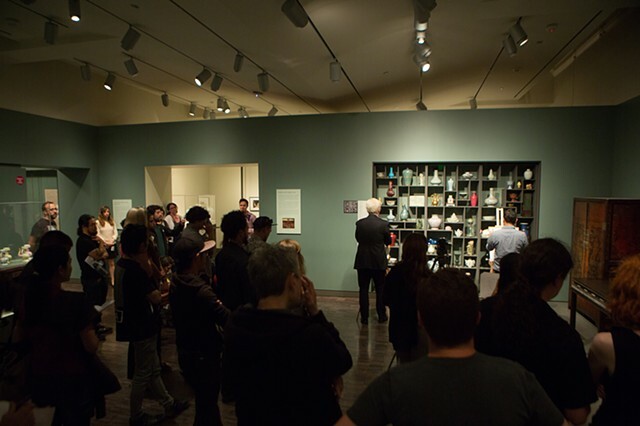 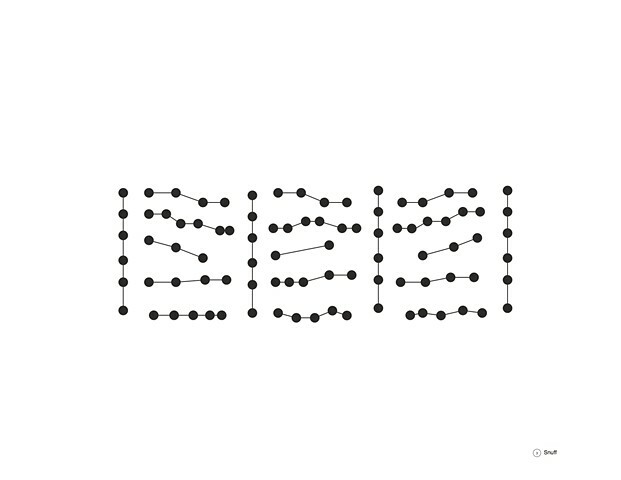 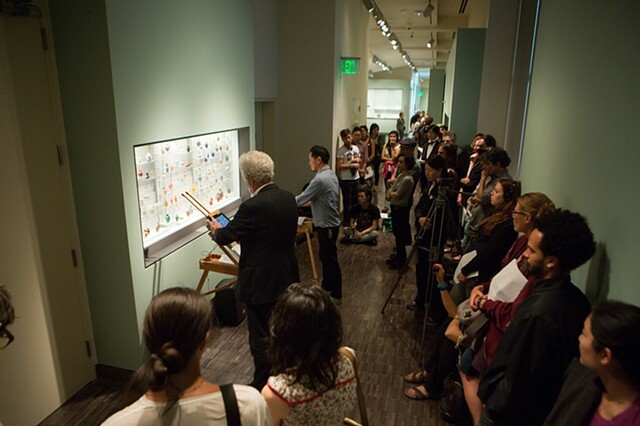 For July 24, 2014, interdisciplinary artist, Michael Arcega and Composer Chris Brown collaborated on a project that investigates the Asian Art Museum’s collections and visual displays through sound. 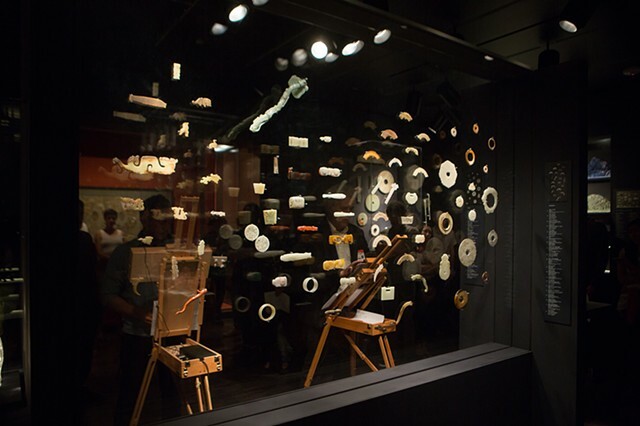 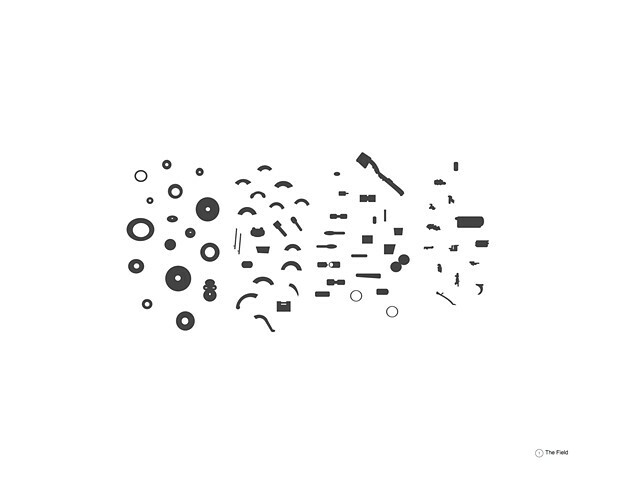 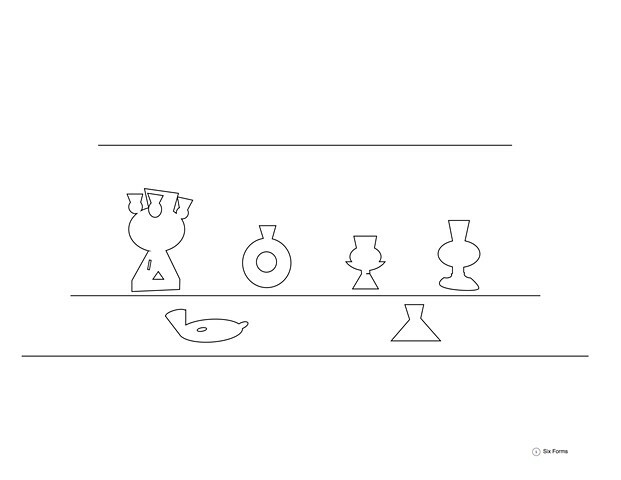 They will translate and score the arrangement of objects in the permanent collection to generate a work that challenges the way that we look and read museological displays.